When I first started this blog it was all about fertility and our struggle to conceive. Then under the name of The Katie C Blog, it was an outlet for my emotions. The arrival of our son saw me moving things forward with posts on pregnancy and parenting. I then began to mix in craft ideas from my experience of being a Snowy Owl (Brownie leader) and Mummy Snowy Owl was born. I have now been blogging for just under 7 years and last year I made the huge break away from my part-time 9 ‘til 5 and became self-employed. This created the opportunity to build my blog but also to have more time at home, do the school run and enjoy family life. Previously I was staying up all hours, trying to balance everything and feeling very frazzled. A few harsh words from my GP and it was time for things to change. For many, myself included, the first few months of building your business can be hard work. 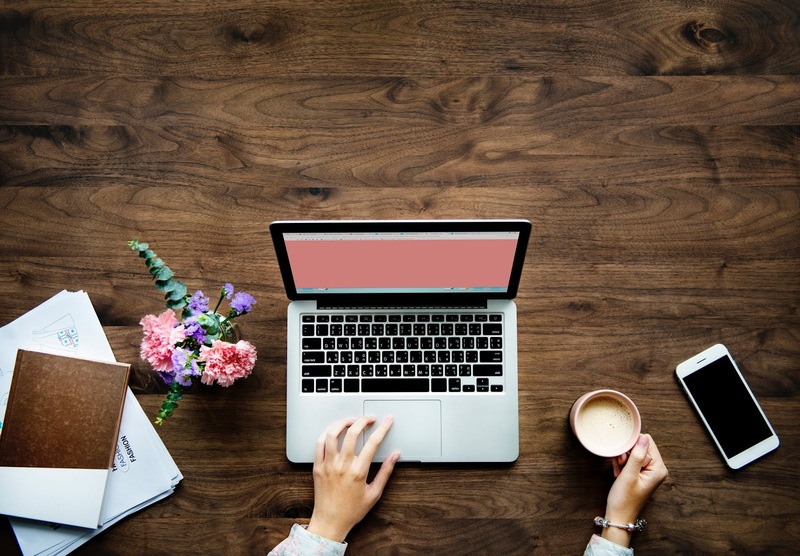 Whether you’re a blogger, freelancer, network marketer (think NuSkin, Herbal Life etc), an Avon rep or a tradesperson, keeping people connected and interested in what you’re doing is a must. One way of doing this is by creating a website and getting subscribers. There are lots of different ways to gain subscribers and it can be a little confusing. Give it a google and you’ll see mentions of pop-ups, widgets, boxes and forms, but which should you try? Having heard lots of mixed things about all of them, I’m considering an email sign up form, but where do you start. This is where I hand over to the team at myemma.com, with this guest post. Along with the posts I did last year Could Being A Mum Be The Skill That Builds You Career? and Top Tips For Blogger Outreach, I'm hoping they will help build your business or blog. Acquiring email addresses is imperative to all email marketing campaigns. Even if you create the most effective email campaign, they're useless if you don't have anyone to send them too. Increasing the number of your email subscribers is not always easy but addressing the source of the problem will solve your email marketing woes.Unfortunately, your email sign-up form could be the reason you’re not building your email list. If you’re looking to grow your email list, we’ll dig into each layer of a successful email sign-up form and explain how to approach your design. We’ll discuss many different strategies and go over how to implement them to support your particular business, no matter which industry umbrella you fall under. By the end of this post, we hope to instill the confidence you need to create the best mailing list sign-up form. When it comes to your email sign-ups, success is based on three vital elements: design, copy, and the information gathered. We’ll start with the foundation of your sign-up form: the design.There are so many things to consider when it comes to your sign-up design, and it’s vital not to slack on any of them. The placement of your email sign-up form is vital to its success. While you may not think this would fall under design, we believe it does. After all of the hard work you put into creating your sign-up form, it would be a shame for it not to be seen. In order for your sign-up form to bring in more subscribers, you have to make your form present in the right place at the right time. When you’re finding a location for your sign-up form, you need to take your audience into consideration. Would they be more likely to sign up if it was at the top of your website, or if it was available on your Facebook page? There are a number of places where you can place your sign-up form, however, it’s up to you to decide where it will be most successful. In your email sign-ups, you’re not going to be promoting a blog or a new YouTube video at the same time. You’re going to ask them simply to subscribe to your email list, and that’s it. And when you have one goal in mind, there’s a specific way to strategize your layout. It’s imperative to keep the layout simple so that your user remains focused on your message and the action you want them to take next. When you’re considering a color palette, it’s important to include contrasting colors so that it’s easier to draw your user’s eye to specific places. It’s also helpful to keep your color choices simple.Maintaining a simple color scheme allows you to keep your user’s attention and help them focus on the most important information. Blue and orange are contrasting colors, and Headspace used this color pairing to help segment the content within the email. First, you’re greeted with the chance to subscribe with a white background. You then proceed to the next section that includes a discount offer within the orange section. The color scheme encourages the user to scroll down and is complemented with blue CTAs that draw you in to subscribe. They choose to set up colors this way to purposefully set the CTA apart from the other copy. And let’s be honest, if you’re going to draw attention to anything, it should be your CTA. Of course, you can just ask plainly: “Sign up for our email list,” or you can get a little more creative and explore other options, as long as the end goal is always clear.The email sign-up wording you include in your sign-up form should be relative to the business you’re trying to promote. Maybe a humorous tone will work best to engage your audience, or you want to convey the sincerity and importance of the updates you’ll be providing. No matter which tone fits your brand, your copy will help you achieve more subscribers. But, you need to find the voice that specifically draws in your users.Take this email sign-up from The North Face as an example. Their sign-up form is located at the bottom of their website and reads: “Adventure is everywhere. Even in your inbox.” This strategy draws their outdoorsy users in by creating an adventurous sensation with copy alone. They also kept it quite simple by getting to the point right away. The North Face avoids distracting their user’s attention by stating what they have to offer and providing the field for you to fill out your email (or not). It doesn’t beg, and it doesn’t try to grab your attention. This example goes to show that you can use copy, and only copy, to get the job done. The information you are requesting from your prospects can make or break your mailing list sign-up form. There are audiences that don’t want to be bothered multiple fields to complete, and then, there are those who don’t mind. While asking for too much information may not distract everyone, it will for sure turn some away. You want to find that sweet spot where you’re getting all the information you need without asking for too much. Nailing the perfect sign-up form will require A/B testing because no one succeeds on the first try. As you learn more about your audience and what draws them in, you’ll be able to mold each aspect of your form to cater to your prospects.We’ve listed some general guidelines to follow, but there aren’t any sign-up form rules set in stone. Whether you decide to think outside the box or color within the lines, you will create the sign-up form that benefits your email list best. Thanks for all the facts Emma team!